AXYS has won a global competitive contract from the Brazilian Naval Commission for the supply of three oceanographic and meteorological data collection buoys. The buoys will form the nucleus of Brazil's offshore monitoring network and will be deployed with AXYS Field Service Specialists assistance in mid 2008. AXYS metocean buoys are rugged, reliable ocean monitoring platforms with a long life expectancy. The solar and battery powered buoys are configured with an extensive range of environmental monitoring sensors, including directional waves, sea currents, sea surface temperature, relative humidity, wind speed & direction and barometric pressure. 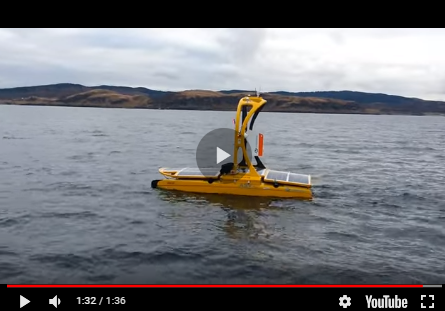 Data from the buoys are collected by AXYS' proprietary onboard WatchMan500 data acquisition system and transmitted to a shore station by radio and satellite telemetry. In addition, the buoys feature cutting edge Automatic Information System (AIS) technology that can automatically transmit buoy position and environmental data to passing ships. Authorized navy users can access buoy status and environmental data from their base station, while AXYS' Data Management System (DMS) permits remote control & configuration for the entire buoy network, down to the individual sensor. The Brazilian Navy is the largest navy in Latin America. The fleet includes a 27,307 ton aircraft carrier Sao Paulo, American & British built frigates, locally built corvettes, coastal diesel - electric submarines and numerous river & coastal patrol crafts.